All kits include complete detailed instructions along with beads and materials (needles not included; thread may or may not be included). Ordering is easy: send a check or money order or pay with Paypal to my email address. If paying by Paypal please include a note listing the items you are ordering. For foreign orders, postage is $US12.75. 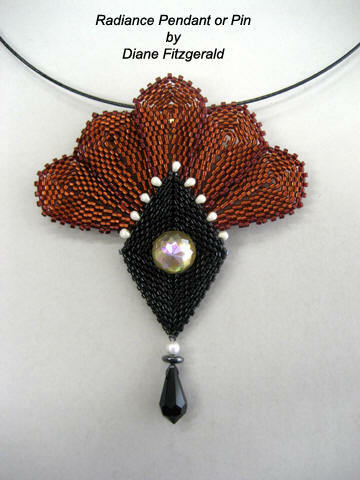 Please also check out "Instructions" which do not include beads and materials. 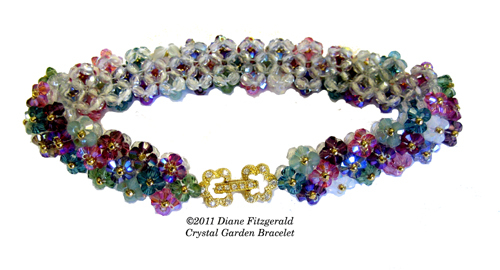 Let your flowers blossom on your wrist year round with the Crystal Garden Bracelet in multi-colors. 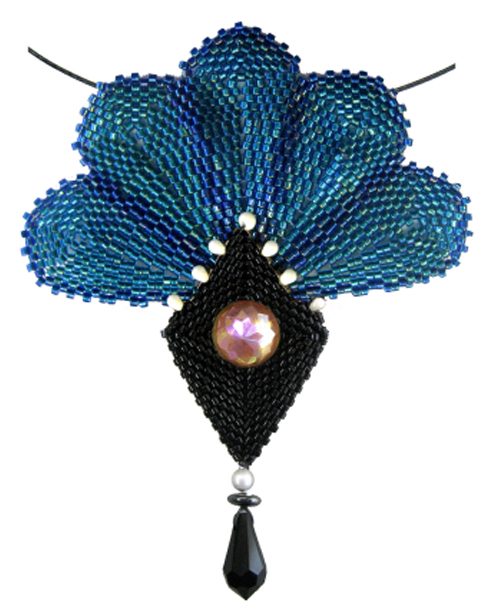 Made with seven colors of Swarovski bicone crystals, firepolish crystals, gold plated seed beads and a fold-over clasp in vermeil with cubic zirconium. You provide needles and Fireline 6 lb. crystal. 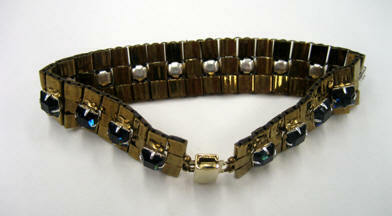 An elegant, and simply understated bracelet made with square stitch. Kit contains Tila beads and 18 Swarovski square set stones in beautiful Montana Blue, or Amethyst with bronze Tilas; or white opal with black Tilas. Kit price: $65.00 plus $4.00 postage.